of the cycles of photosynthesis. Clare Hirn never considered art to be a viable career. That is why she split her studies as an undergrad at Indiana University between biological sciences and fine arts. The two worlds of arts and sciences are reflected in her expansive art career: she illustrated an Abiocor artificial heart that appeared on the cover of The New York Times, and she paints majestic murals that bring the vibrant natural world inside otherwise sterile environments. Her murals can be seen locally at Waterfront Park Place, UK Chandler Hospital, and UofL Healthcare Outpatient Center. She is an environmentalist and an artist. “My work is nature-oriented with the running theme of connectivity to the planet. My parents always had land, and as a child, I always waded through creeks. I could sit and observe nature for hours; I’ve always been passionate about our planet,” Clare, 52, recalls. The pulse of nature is alive and well in Clare’s style, which she describes as being “kept on the abstract level with moments of detail,” because she is “an old-school, hand-drawn kind of girl.” She often uses a charcoal underdrawing with acrylic paint on top so that the drawing aspect can be seen through the soft, natural colors — much like a field of tall grass filled with tiny, busy life, only there to witness if you are truly paying attention. Despite Clare’s instinct that art might not pay the bills, she forged the difficult life of an artist anyway. After graduating from IU, she attended graduate school at the New York Academy of Art, where she received a master’s degree in painting and drawing. She then went one step further as an artist and married one, a writer. Clare now has two grown children who also chose the path of art: her son is studying architecture at The Cooper Union (right around the corner from her alma mater in NYC), and her daughter is working on a BFA in theater at Marymount Manhattan College. Using pastels, Clare creates an image of her daughter and their dog. 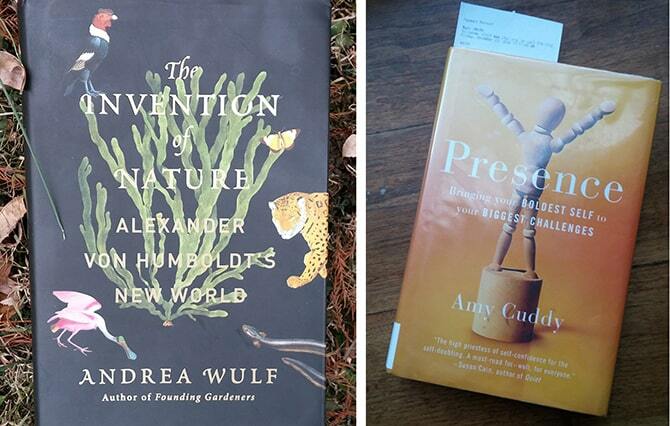 What is this environmentalist and artist reading, watching, and listening to? Presence: Bringing Your Boldest Self to Your Biggest Challenges by Amy Cuddy. This book explores how body language impacts those around us and reflects our own self-esteem. For moments of distraction, Clare enjoys Transparent with Jeffrey Tambour, an Emmy-award winning Amazon original series.